Femke Bos is Fund Manager/ Regional Manager Asia and ECA at Triodos Investment Management. Her speciality is structuring private equity and debt investments in microfinance Banks/SME banks in emerging markets. 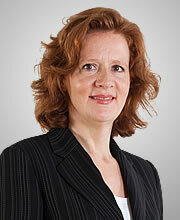 Femke is also a Board Member at ACLEDE Bank Lao and ACLEDA Bank Cambodia. She previously worked at ABN AMRO as Senior Account Manager for corporate clients.